Tiger Blue is one of the newest additions to the traditional fleet of live-aboards in Indonesia. Built in the style of the traditional wooden Phinisi, with ironwood hull and teak decks, she is 34 metres long with a deck width of 7 metres. We are proud to announce that Tiger Blue has made it into the list of Asia"s top 50 Super Yachts (Asia-Pacific Boating Magazine- November-December 2008). Available for charter Tiger Blue has 2 double cabins, a family cabin and and cabin with 2 single bunks suitable for 10 people, or 2 families. All our large cabins have ensuite bathrooms and are fully air-conditioned. Tiger Blue is a well equipped dive boat fitted with 2 compressors and with 2 tenders is also perfect for exploration, cultural and historical trips around the Indonesian Archipelago. Families and children will enjoy all the extra 'toys' on board and everyone will enjoy the luxury, comfort and space that Tiger Blue has to offer. An island and jungle hideaway, is the stunning rustic island retreat of Rebecca and David Wilkinson, and their 3 children. Set in 12 acres of jungle and backing onto 200 acres of forest reserve the 2 houses are cocooned on slopes overlooking the sea and mainland. 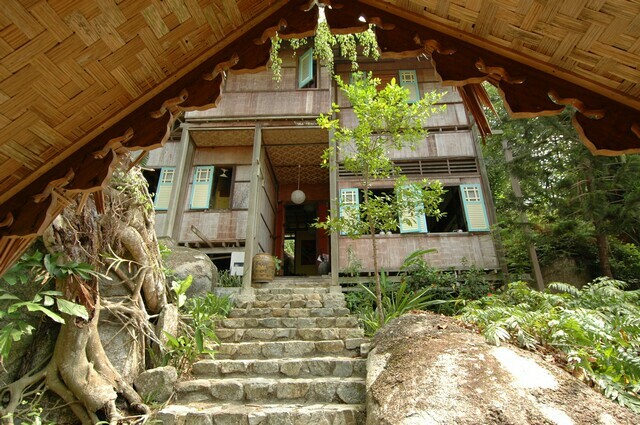 David designed the houses based on the traditional Malay wooden house and a colonial hill station house. Rebecca added all the creature comforts one could need and has surprised with unexpected color. Her paintings and artwork are found throughout the property. 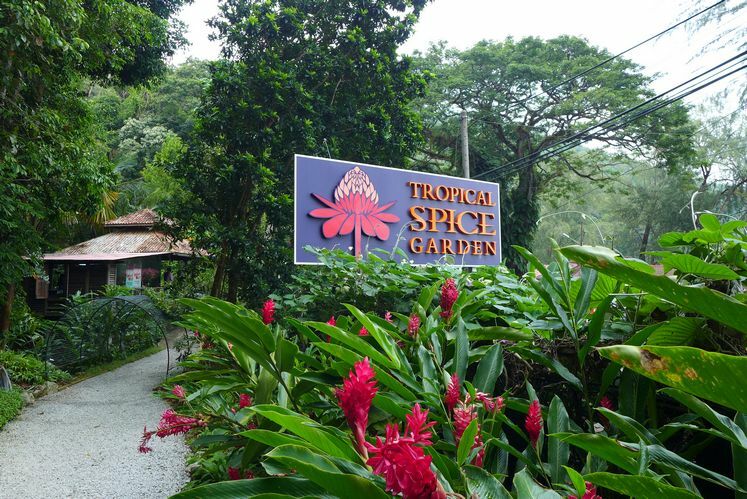 Showcasing over 500 varieties of exotic fauna and flora and spread over 8 acres of secondary jungle, Rebecca and David envisioned a serene tropical garden in a former rubber plantation. 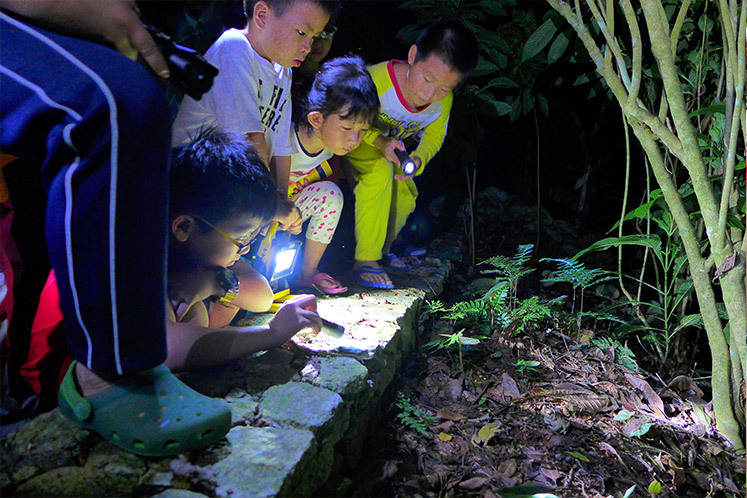 Now one of Malaysia’s premier eco-tourism destinations it hopes to instil and nurture an awareness of nature and the importance of plants in a spectacular and easily accessible setting. 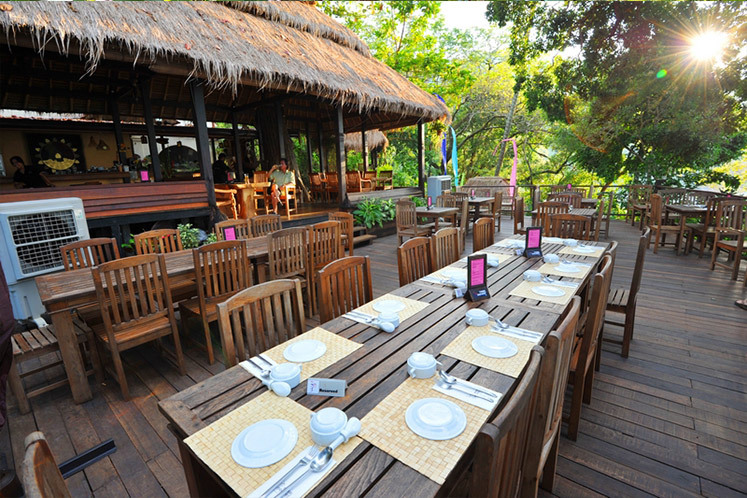 Most of all, we hope to offer you a truly unforgettable garden experience! 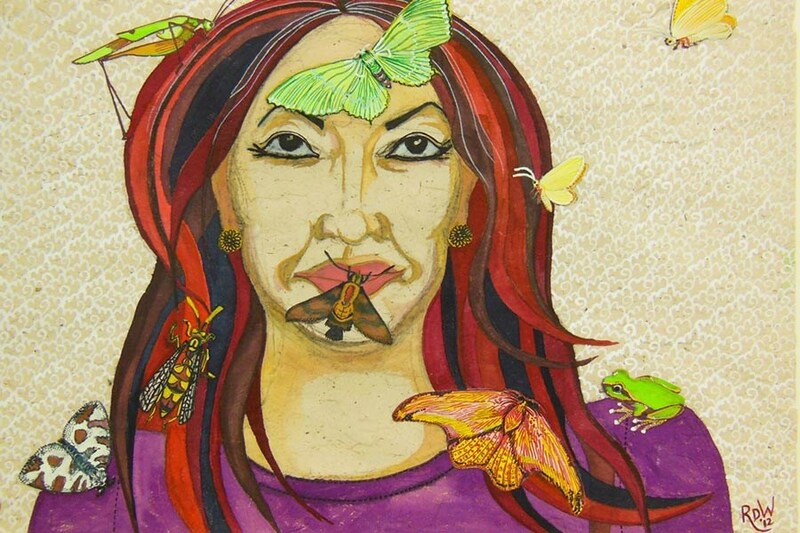 Rebecca Duckett-Wilkinson is a Malaysian artist working out of George Town, Penang, Malaysia. A textile designer by training, her paintings are full of colour, layers of pattern and texture. Inspired very much by nature, shapes of leaves and flowers, Rebecca often magnifies the minute patterns found within them to create tactile textures. 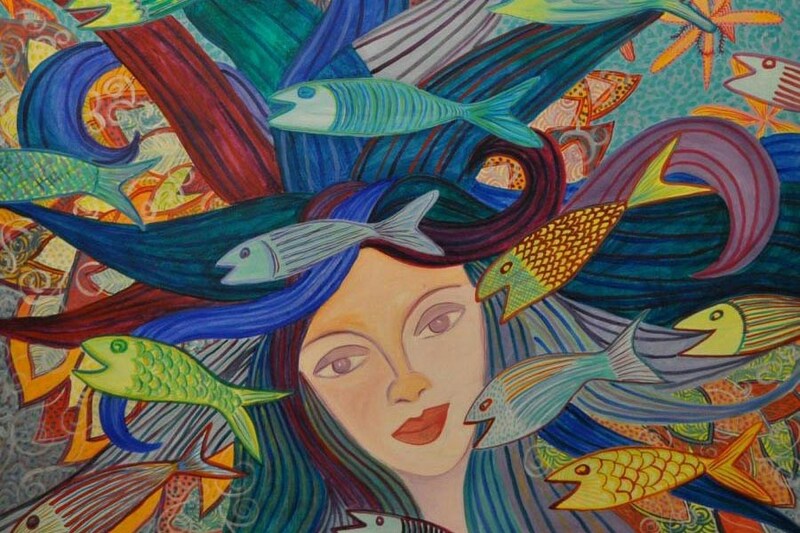 Inspired by trips into the jungle and islands of Malaysia and Eastern Indonesia, her images are often fantasies made up of fish, tropical foliage, mermaids and sprites. Rebecca's work can be purchased or commissioned directly from her studio, or from the selection available on her website.